James Wesley Wade,age 88 of Summer Shade, passed away Sunday, May 19, 2013 at his home. 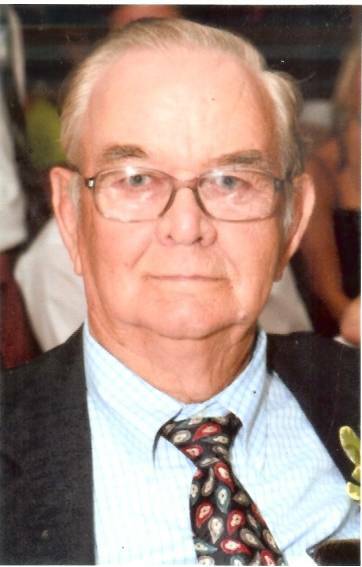 He was a well known farmer, a life long resident of Summer Shade and was a member of the Summer Shade Baptist Church. He was a son of the late Pauline Atkinson Wade and Gilliam Wade. He was preceded in death by two sisters, Mary Rebecca and Dorothy Wade. He is survived by his wife of 64 years, Emma Jean Hays Wade; two sons, Mike (Elaine )Wade, Mark (Vickie ) Wade all of Glasgow, one daughter, Jill (Joe) Wade Smith of Columbia,Ky; six grandchildren, J.R. (Megan ) Wade, Bowling Green, Allen Wade of Owensboro, Wesley Wade, Nashville,Tn., Whitney Wade, Athens,Georgia, Taylor Smith of Columbia, Andrew Wade, Glasgow; two great grandsons, James Eli Wade and John Miller Wade of Bowling Green; one brother, Harold Wade of Harriman, Tn. and two nieces. Funeral services will be Thursday, May 23, at 2:00 PM at the Summer Shade Baptist Church with Bro Chad White officiating. Burial will follow in the Summer Shade Cemetery. Visitation will be Wednesday, May 22 from 2:00 to 8:30 P M at the Summer Shade Baptist Church. Alternate expressions of sympathy may be made to the Summer Shade Baptist Church.